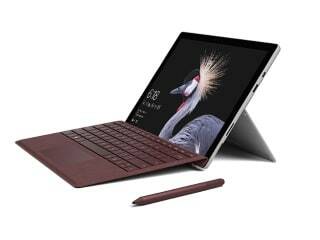 The fifth-generation Microsoft Surface Pro has been launched in India several months after its international debut, and so it will have a tough time competing with the ultraportable laptops and 2-in-1s that competitors have brought to market recently. It looks great and has a well-engineered kickstand, plus the 12-inch 3:2 screen is excellent, and it runs silently. The Surface Pro weighs under 1kg making it extremely portable. However, performance is constrained by the previous-generation Intel CPU, and connectivity is limited to just one USB 3.0 port. Also, you'll have to pay a lot extra for the Surface Type Cover and Surface Pen which ideally should have been included. 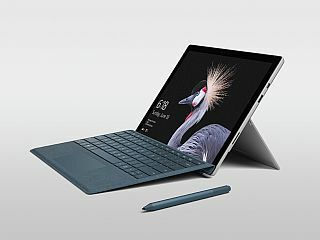 Microsoft Surface Pro (2017) was launched in May 2017. The tablet comes with a 12.30-inch touchscreen display with a resolution of 2736x1824 pixels at a pixel density of 267 pixels per inch (ppi). Microsoft Surface Pro (2017) is powered by a dual-core Intel Core i5-7300U processor. It comes with 8GB of RAM. As far as the cameras are concerned, the Microsoft Surface Pro (2017) on the rear packs 8-megapixel camera. It sports a 5-megapixel camera on the front for selfies. 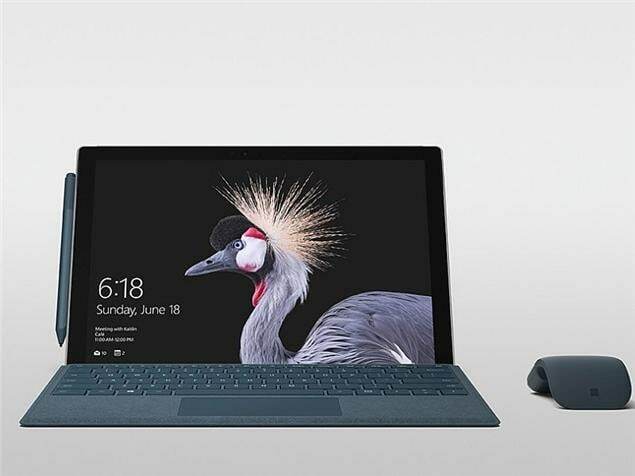 Microsoft Surface Pro (2017) based on Windows 10 and packs 256GB of inbuilt storage. Connectivity options on the Microsoft Surface Pro (2017) include Wi-Fi 802.11 a/b/g/n/ac. Sensors on the tablet include ambient light sensor, gyroscope, and accelerometer. The Microsoft Surface Pro (2017) measures 292.00 x 200.00 x 8.50mm (height x width x thickness) and weighs 768.00 grams. It was launched in Silver colour. 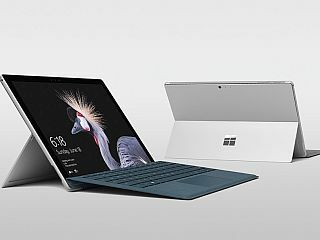 As of 21st April 2019, Microsoft Surface Pro (2017) price in India starts at Rs. 69,990.